This brilliant blue satin garter will certainly fulfill the old adage that you need something new and something blue. 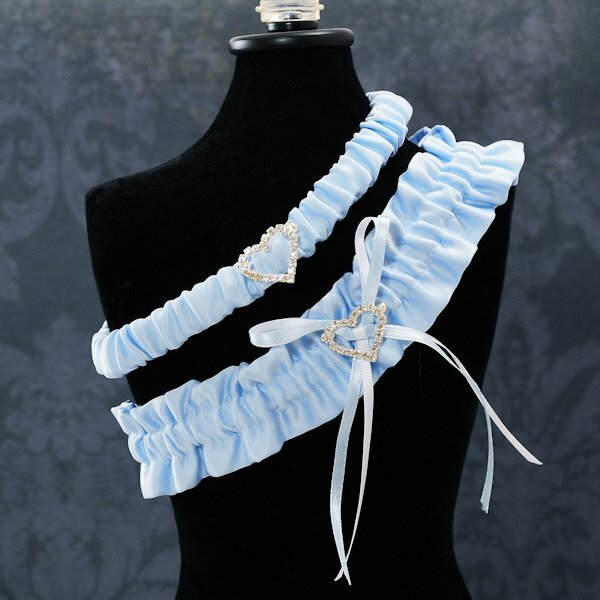 The ruffled design is decorated with a blue and white double bow that has a crystal encrusted heart at the center. We include a matching blue tossing garter that also has a crystal heart for free. Both garters are made so that one size fits most people.